Costa Rican Constitution enacts Catholic religion as the official religion of the country as well as the contributing to its maintenance without preventing free exercise of other religions and cults (if they are neither opposing to moral nor decency) on its Constitution’s 6th article. 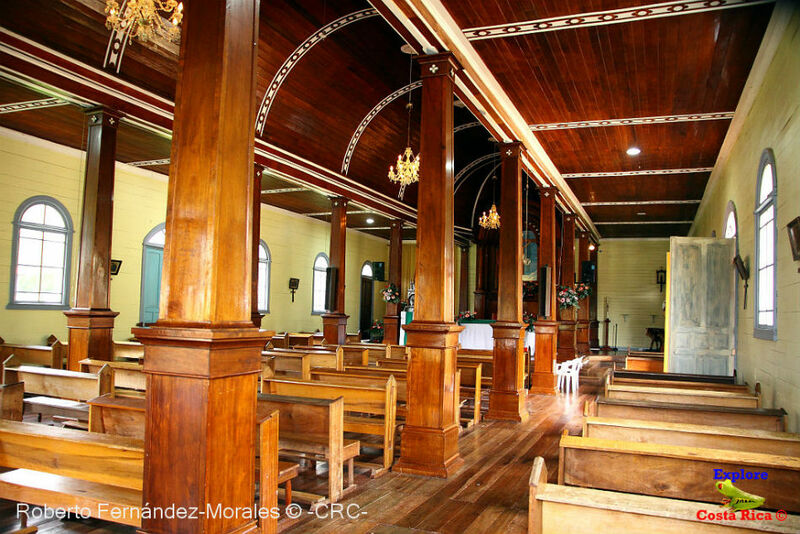 If you travel to Costa Rica, you will discover that this is true: this country has always been an example of religious tolerance as people are free to practise a wide range of cults and religions. This is due not only to cultural and ethnic diversity but also to immigration: 80 different religions and cults can be found there. The Catholic religion is the most practised in the country, and there are a number of holidays in honour of its Holy Patrons and other Catholic festivities like Easter. Although, they are not as colourful and striking as in other Caribbean countries, they still reveal its cultural mixed background. On the 2nd of August, it takes place Virgin of the Angels festivity, commonly known as “La Negrita” who is the country’s Patron Saint and the Americas’ Protector. It is typical to go on a pilgrimage to the Basilica of Our Lady of the Angels, in Cartago province. Another important festivity is the Virgin of the Sea day that takes place on a Saturday close to the 16th of July featuring a vessels and yachts’ parade in Puntarenas Beach, in the Nicoya Gulf. In one of the vessels, there is a statue of The Virgin of Monte del Carmelo, Puntarenas’ Saint Patron. Furthermore, apart from Catholicism, other branches of Christianism are practised: there are Protestants, (Pentecostals, Lutherans, Anglicans, Baptists, Methodists, Seventh-Day Adventists, Quakers, Amish and Jehovah's Witnesses), Evangelical Christians and Mormons. Also, there is a little community of Orthodox Christians formed by Russian, Greek and Romanian immigrants. There is a big Jewish community due to the European immigration during the first half of the 20th century and Judaism’s influence is very important in the country, especially in the economic sphere. Even when many Costa Rican Jews are Orthodox Jews or Ashkenazim, the most important Jewish community is the Zionist Israeli Center of Costa Rica, where Orthodox Judaism is practised and most of the Costa Rican Jews gather. Islamic religion has a number of faithfuls, most of them Sunn,i that have as their meeting point the Mosque of Omar located in Monte Limar, in Goicoechea. Asian immigration (Chinese, Taiwanese, Korean or Japanese) created Buddhist and Taoist communities, and they brought the syncretic practice of Catholicism, Buddhism and Chinese folk religion. Nowadays, the biggest Buddhist community of Central America is in Costa Rica. Also, there is a Hindu one where most of its members practise Hare Krishna. Furthermore, there are spiritual beliefs of native Costa Rican communities in some natural reserves, for example, Bribris beliefs that base its cult on Sibú the Creator and the shamanic practises transmitted through many generations. Is it necessary to take any vaccines?